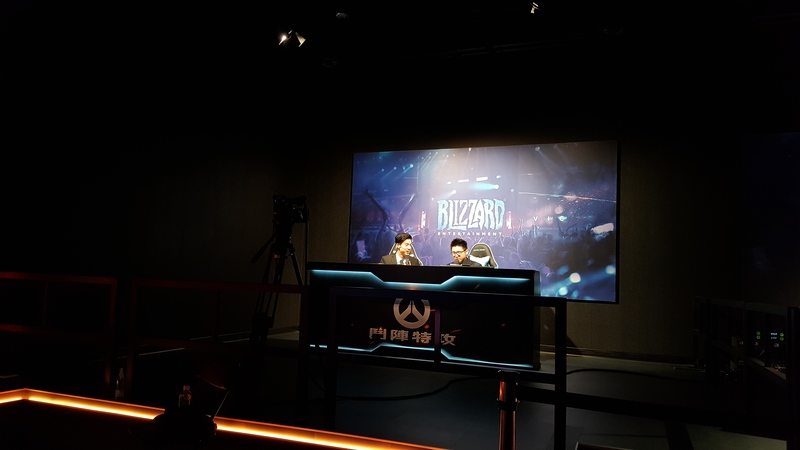 I watched pro Overwatch in Blizzard's Taiwanese Estadium, its first official competitive arena. 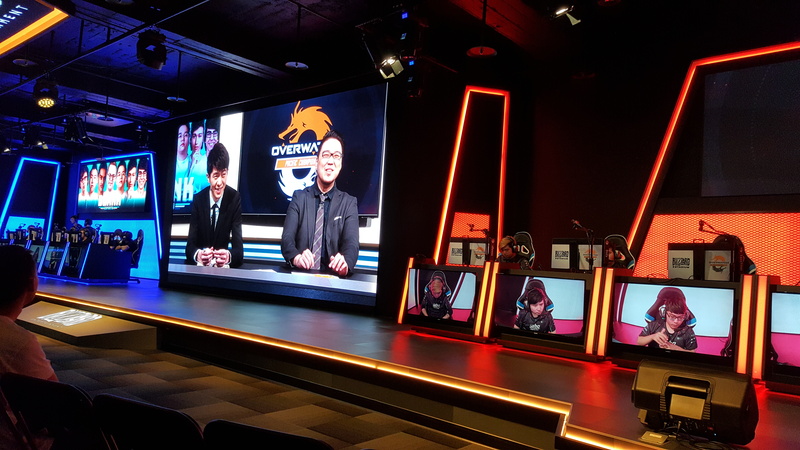 If you asked me to guess where Blizzard would build its first esports arena, I'd say Korea, or maybe Los Angeles, near its Irvine, California headquarters. 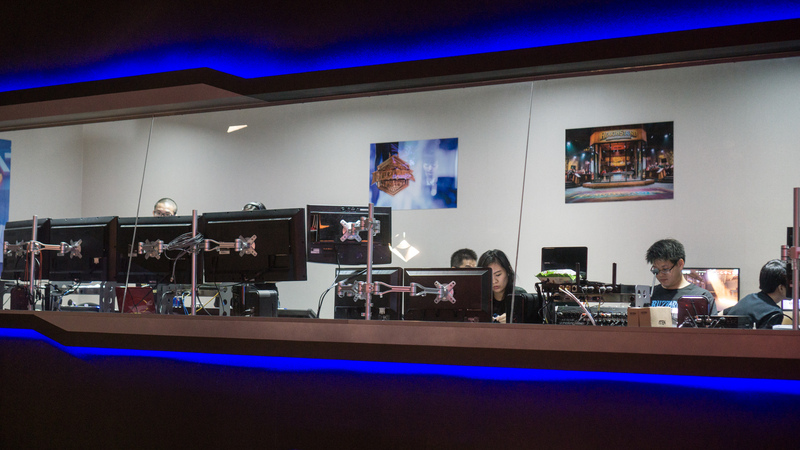 Somehow, despite StarCraft's years of popularity, Blizzard never opened its own venue to host tournaments. Perhaps it didn't need to—StarCraft was on TV, for God's sake! 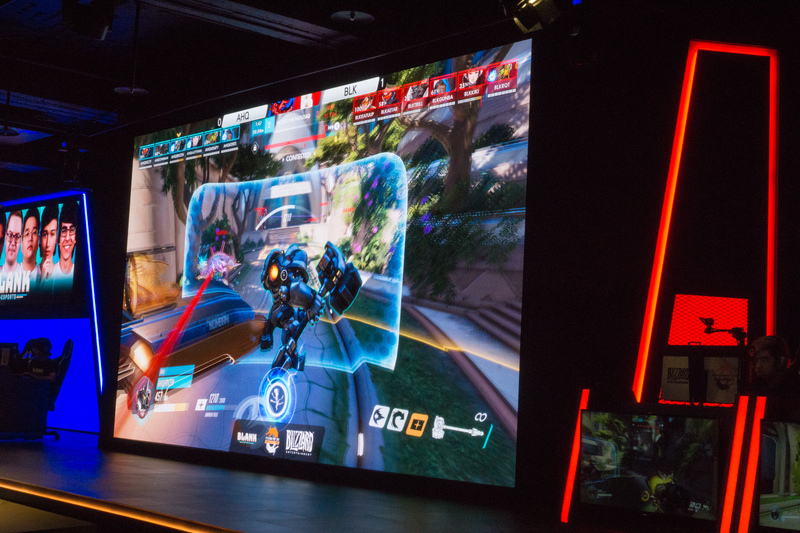 But with the phenomenal success of Overwatch and the rise of esports in general, Blizzard has finally opened its own esports venue, a high-tech auditorium for pro teams to compete in its biggest games. And it's not in Korea, or Los Angeles, or anywhere else I'd have guessed, for that matter. 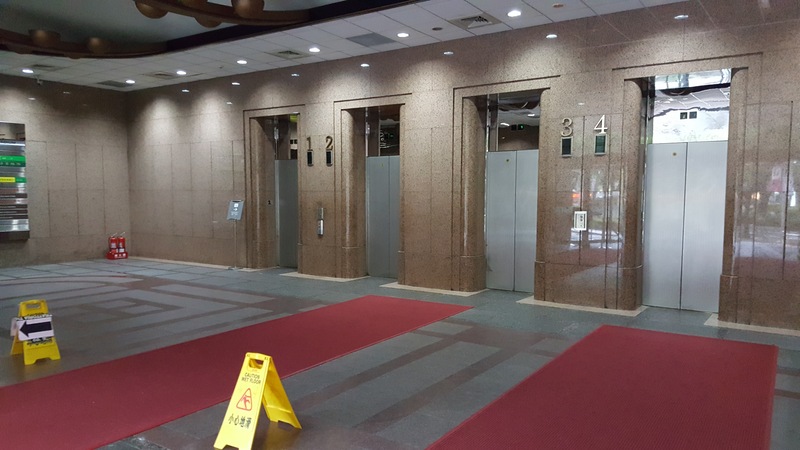 It's on a quiet street in Taiwan's capital Taipei, hidden a dozen floors above an unassuming lobby. 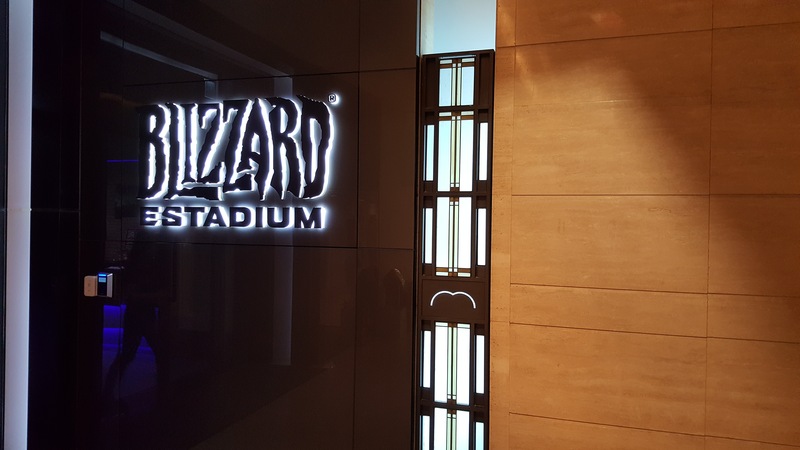 The sign outside the office building is the only real clue this building houses Blizzard's first official esports arena. 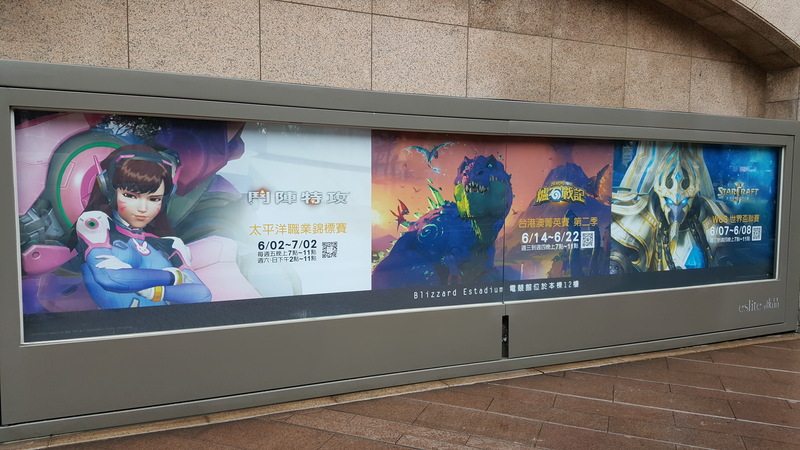 The home of Blizzard's Taiwan Estadium, which just opened in March, looks like any other office building, bored security guard and all. It's in central Taipei, a convenient couple blocks from the subway, so I visited on a rainy Sunday afternoon after a recent trip to hardware trade show Computex. The lobby isn't dingy, exactly, but it's bare enough to make you wonder if you're in the right place, until you step off the elevator into the much swankier digs of the Estadium. 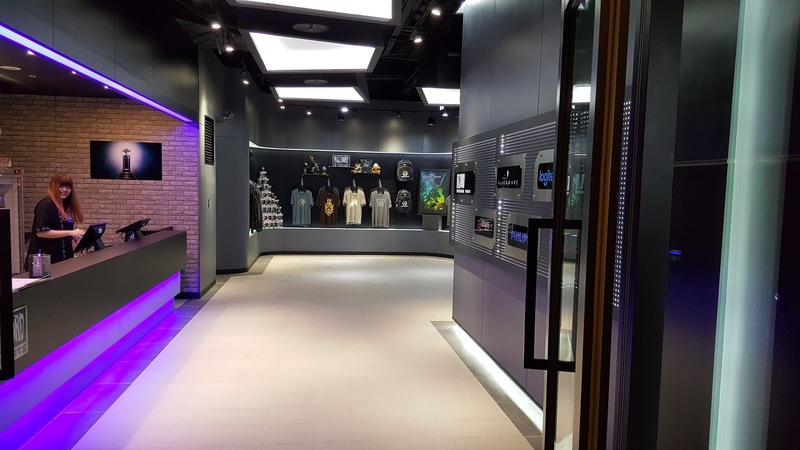 The lobby is accented with purple and white underglow lighting and decorated with plaques for esports teams and hardware sponsors. Not much to do here except head on into the auditorium. 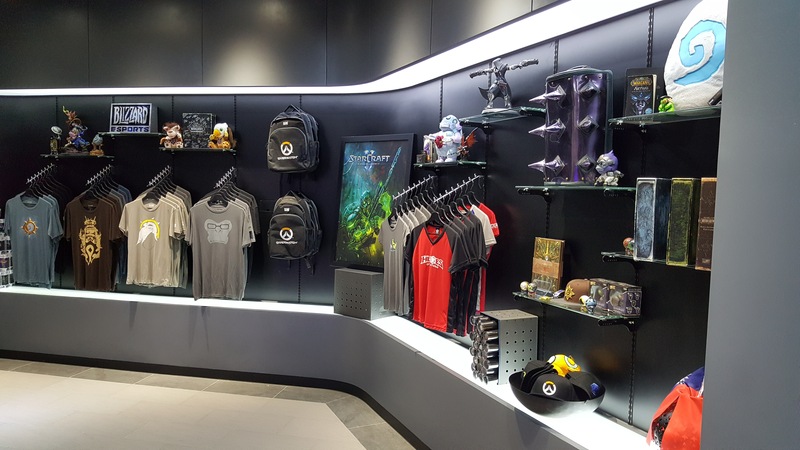 There is a whole corner of Blizzard merch in the lobby, but nothing exclusive to the Estadium. Good thing you can get this stuff online, because it wasn't for sale here! The staff gave me a glance behind the scenes, where there's an analyst's desk for tournament livestreams. Can you guess which game the Estadium is focused on hosting? Yep, it's definitely Overwatch. 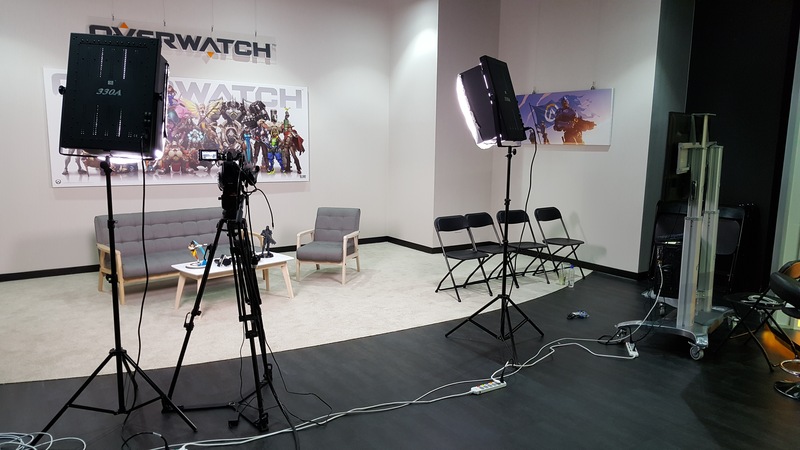 I didn't see this sit-down set used while I was there, but it seems it's likely for interviews. 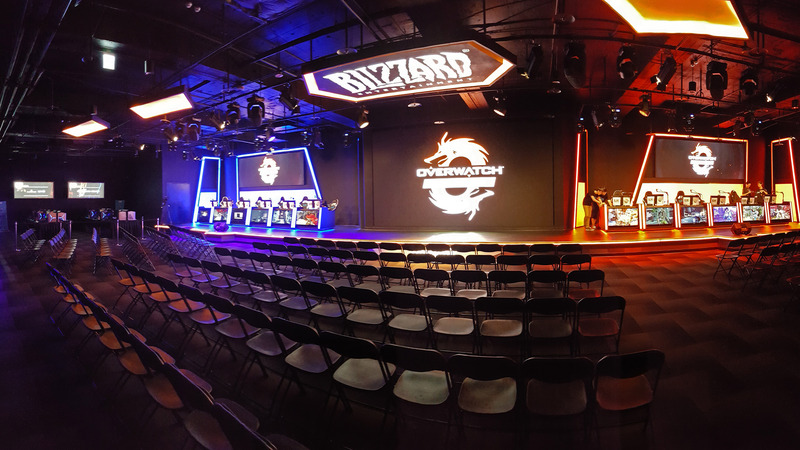 In the future I imagine Blizzard will host Heroes of the Storm or even Hearthstone events here, but right now it's all about the Overwatch Pacific Championship. Here's where the action happens. When I first looked at photos of the Estadium on Facebook, I expected it to be a huge room. But nope! It's actually quite shallow, with six rows of folding chairs spread across three sections. Cush theater seating, this is not. The caster's desk is against the right wall of the auditorium. They're right in it with the audience. Unsurprisingly, they'll soon be commentating in Chinese, so I don't follow along too easily. In the back you can catch a glimpse of the control room through a long window. 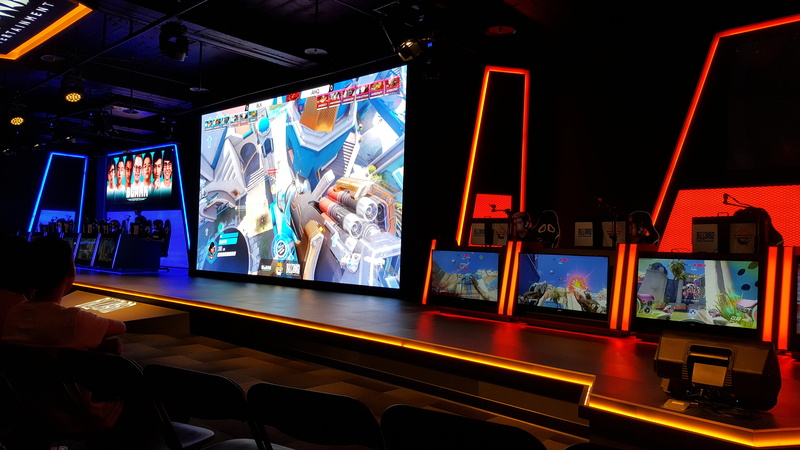 They have a nice live view of everything, but they're probably not paying attention to us because look at all those monitors. I got to the Estadium about half an hour before the day's matches were meant to start, but as you can tell, it's pretty… empty. As the start time approached, I actually started to worry that I'd be the only one in the audience. Everyone else is staff or a player. Aha! People! Just before start time a few spectators started to show up. Perhaps they knew that the actual action wouldn't kick off for a good 15 minutes or so. 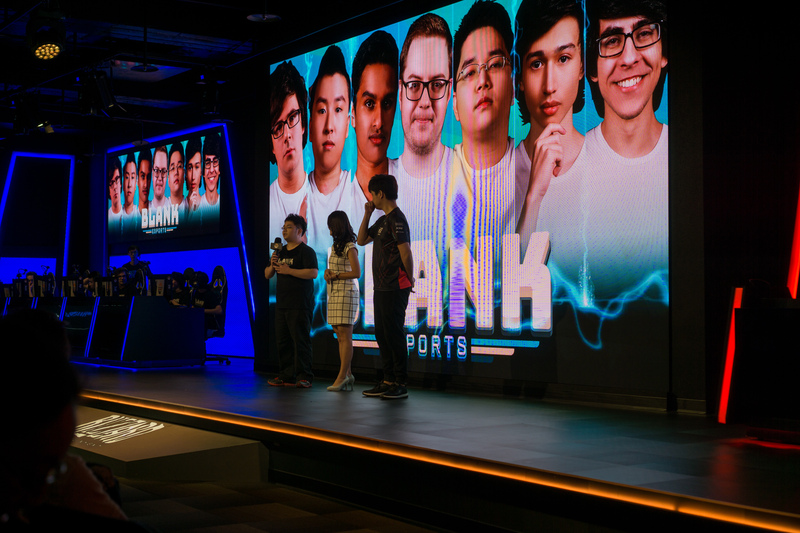 The players for Blank Esports and AHQ eSports Club line up for the match. After a quick interview with the coaches, the audience laughs. 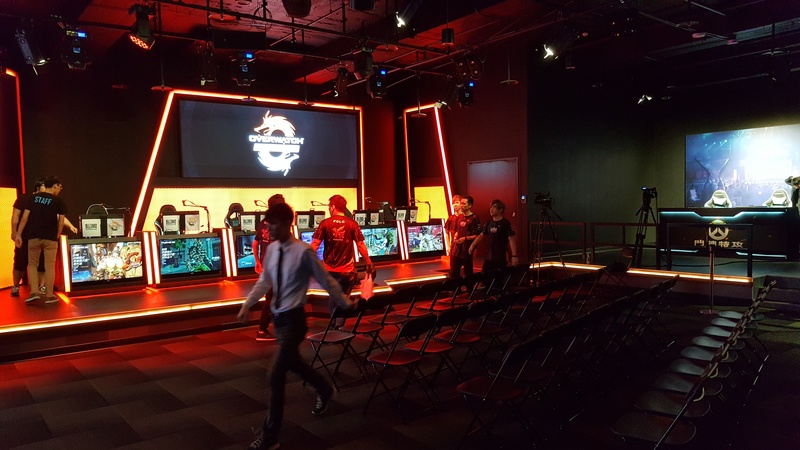 A friend translates for me that the coach for AHQ engaged in a little light trash talk, saying he'll let Blank Esports go home soon. 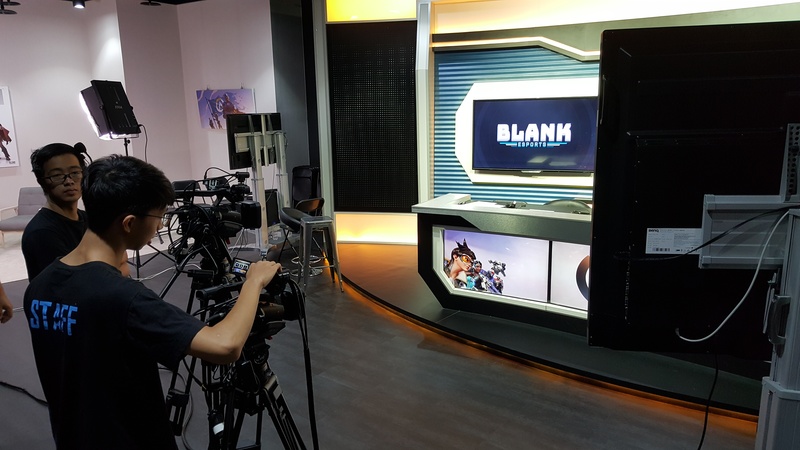 Blank Esports proves that trash talk premature almost immediately by mopping the floor with AHQ. Pretty impressive since, as I discover looking them up later, the Oceania team was only formed in March of this year. 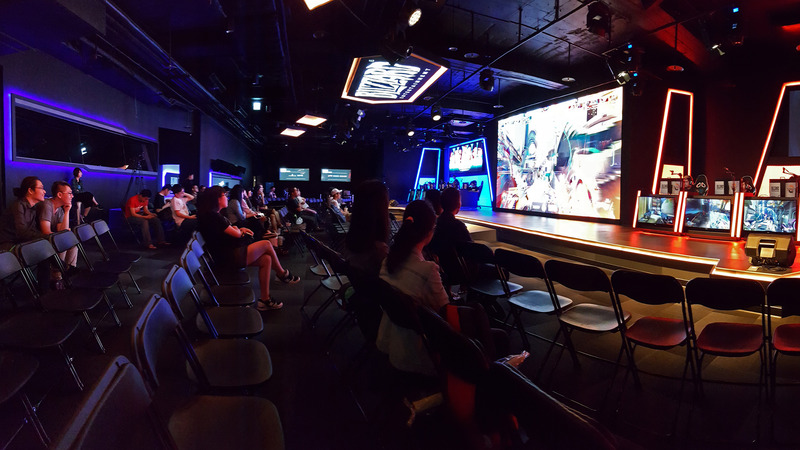 While the Estadium is fairly small, it's a really cool, high-tech way to watch competitive games. 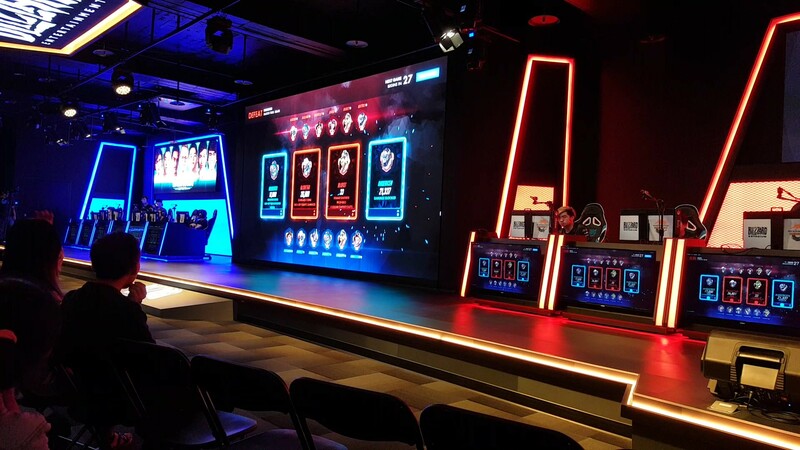 Every player's station on stage has a large TV screen mounted in front—probably 40 inches or so—that shows their individual perspective in the match. Each PC also has a webcam mount, so the A/V team can switch to a player cam at will. And yeah, that screen in the middle? Pretty great. I'm not sure I'd prefer it over watching at home, though. For the hour or so of matches I stick around for, there's not a lot of excitement in the crowd. It's not that people are bored, but there's no cheering or whooping or gasps of shock. Maybe because it's the middle of the afternoon on a Sunday, or not an important match? Turns out watching esports with commentary in another language makes it a bit hard to follow the more particular points of a match. Thankfully it's pretty easy to tell what's going on in Overwatch—it's just more fun with that color commentary!